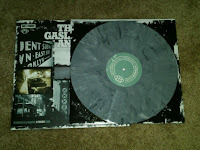 Thanks to the stellar efforts of Alex at Side One Dummy, my corrected vinyl of American Slang came in quickly. 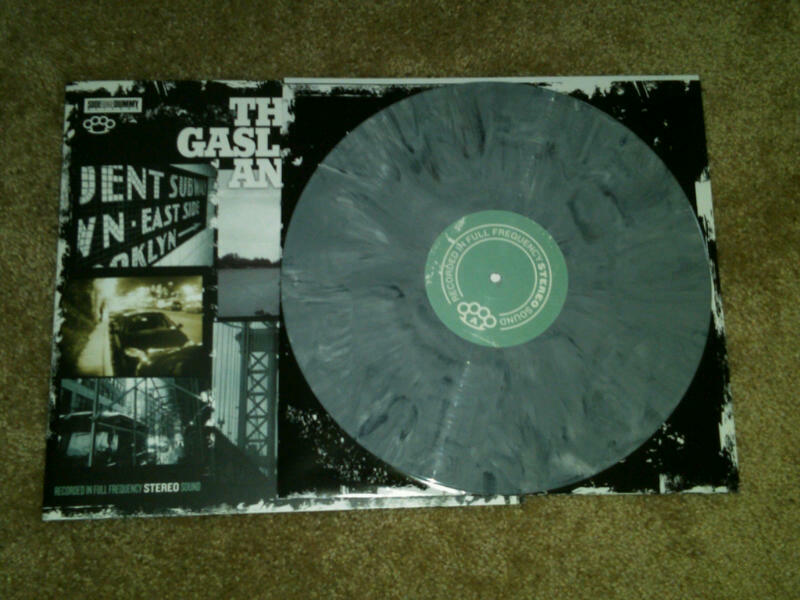 The marbled grey looks gorgeous and is definitely my personal preference over the splatter variant. I posted a picture of it below. It sounds ridiculously good on the thick 180 gram vinyl too! 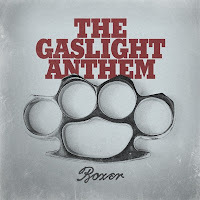 Even though there’s no word of a commercial single release, it looks like “Boxer” is being sent to radio to promote the album. I think it’s a smart choice. “Boxer” has a catchy guitar riff, a memorable chorus and great lyrics. It’s a good one to catch new people with because the intro is a little reminiscent of The Offspring’s “Come Out and Play” and hopefully it will grab people’s attention enough for them to stick around for the Gaslight goodness. Brian’s lyrics are some of his best on this song too. Lines like “found the bandages inside the pen and the stitches on the radio” and “remember them songs and the reasons we were singing for” call to mind the power of music to heal and inspire. Brian’s unique ability to take complex truths and issues and interpret them into deceptively simple lines speaks a lot to his talents and tastes. Plus, the music amplifies the energy and passion in his writing. “Boxer” is a great example of these ingredients mixing together perfectly. American Slang will be available this Tuesday, June 15th.